Congressionally authorized grant and loan programs to support local food systems have expanded in recent years. Quantifying and evaluating the impacts of these programs is critical. 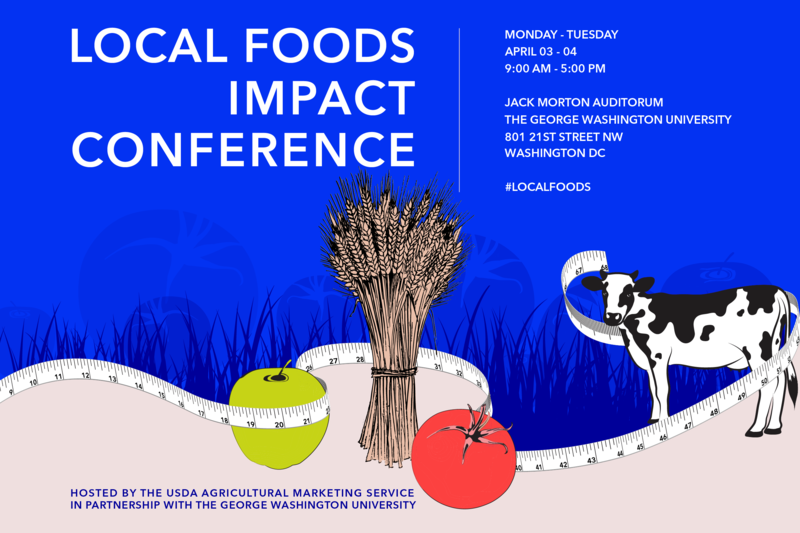 The USDA Agricultural Marketing Service, in partnership with The George Washington University, hosted a Local Food Impacts Conference on April 3 and 4, 2017 in Washington DC. Over 60 speakers explored how to best measure the impacts of local food investments, improve coordination across USDA agencies, and evaluate the extent to which disparate local food investments are complementary and reinforcing. Beyond metrics, this conference provided an opportunity to share local food stories with incoming members of the new Administration and Congress. For full agenda and speaker bios, visit localfoodsimpact.org. The conference plenary sessions were recorded and are available here.